Inspired by Lit Hub’s 100 rejections per year post, my goal was to make at least 50 submissions in 2017. Since my last contest roundup, I’m at 78 submissions and 51 rejections. That rejection count has been a bittersweet goal to reach, but the year’s far from over. Fall is submission season! Many literary journals reopen their reading periods as another academic year begins so there should be no shortage of places to send your work. I’ve curated another list of promising contests for your submitting convenience through Thanksgiving. Much like editors are looking for reasons to reject work, I want to focus on opportunities worth my time. Thus, my list of writing contests below once again includes reasons to submit to that particular writing contest. May you find a promising opportunity among this list and spend less time searching for where to send that exciting draft. I’m personally going for SmokeLong Quarterly’s Kathy Fish Fellowship. Repeat publications and experience working with a literary journal sound like a promising outlet for anyone fascinated with flash fiction. Also, no fee. The Coalition of Texans with Disabilities (CTD)’s annual Pen 2 Paper Creative Writing Competition seeks pieces of fiction, non-fiction, poetry, and comics that treat the topic of disability. Whether or not you have experience as a creative writer; whether or not you have a disability, we want to hear your voice! And while P2P is based in Texas, we welcome entries from other states and countries. ALL entries must incorporate disability as a theme OR include a major character with a disability. Up to 5,000 words. Winners and finalists will be posted on P2P’s website. The Grand Prize winner will receive a cash prize of $500 (USD). Division winners each receive a cash prize of $100 (USD). Selected entrants will have the opportunity to present their work at the Cinema Touching Disability Film Festival in Austin in the fall. Contest entries should be in keeping with our publishing mission which states: “Our emphasis is on the literature of the Southern Appalachian region, and we are committed to publishing excellent writing that does not rely on clichés and stereotypes. We want to feature writing that exemplifies the many layers and complexities of the region or that is written by an author with a connection to the region.” $200 prize and publication in Still: The Journal, 25: Fall 2017. Winners will be notified after October 1, 2017. Winning entries and finalists will be announced publicly in Still: The Journal, Issue 25: Fall 2017 (published in late October 2017). Up to 6,500 words. Fellowships of $77,500, office space at the Radcliffe Institute, and access to the libraries at Harvard University are given annually to fiction writers to allow them to pursue creative projects. Fellows are expected to reside in Boston during the fellowship period, which lasts from September through May. Fiction writers who have a book-length manuscript under contract for publication or at least three shorter works published are eligible. Writers who are graduate students at the time of application are not eligible. For 2018-2019 fellowships, submit up to two short stories or a recent book chapter totaling no more than 30 pages; contact information for three references; a curriculum vitae; and a project proposal by September 14. There is no entry fee. Visit the website for the required entry form and complete guidelines. $250 Honorarium and Publication. The fiction contest is open to women and those identifying as women. 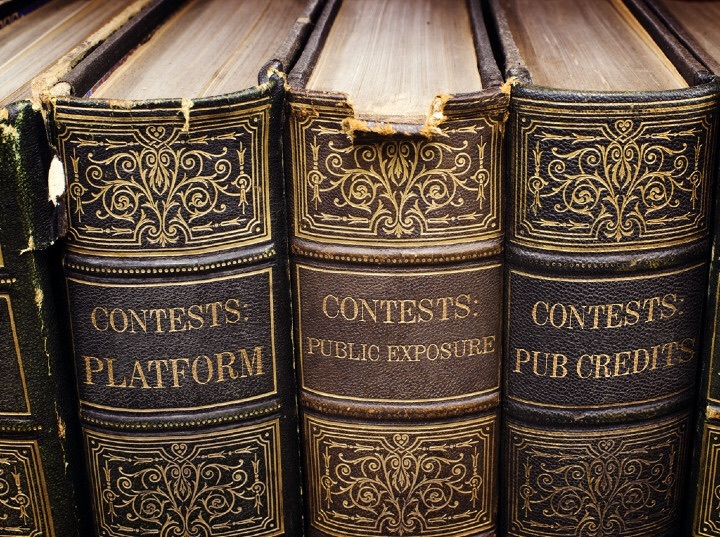 Contest entries from all others will not be read. Entries must capture the nuances of the cultures and consequences of war; the topic is not limited to military matters, but includes social, political and cultural subjects. All entries will be considered for publication. All entries will be considered anonymously. Each story must not exceed 15 double-spaced pages in 12-point font. The Dzanc Books Prize for Fiction recognizes daring, original, and innovative writing. A $10,000 advance and publication in Fall 2018 by Dzanc Books will be awarded to the winner. The contest is open to new, upcoming, and established writers alike. $25 fee. The Dzanc Books/Disquiet Open Borders Book Prize seeks book-length manuscripts in fiction or nonfiction exhibiting a marked commitment to mutual understanding and cultural exchange across the globe. The winning submission will be awarded a $5,000 advance and publication in Fall 2018 by the Disquiet imprint of Dzanc Books. Novels, short story collections, memoir, essay collections, and cross-genre works are all welcome. This contest is open to new, upcoming, and established writers alike. $25 fee. The Dzanc Books Short Story Collection Prize celebrates imaginative and inventive writing in the short form. The winning submission will be awarded a $2,500 advance and publication in Fall 2018 by Dzanc Books. $25 fee. CutBank Literary Magazine is seeking interesting, compelling fiction in 750 words or fewer. Please do not include identifying information in the body of your submission. Submission fee of $7 includes consideration for CutBank’s $500 flash prose prize and publication in CutBank 88. Two runners-up will be awarded $50 and publication in CutBank 88. All other submissions will be considered with submissions for the print edition of CutBank Literary Magazine. The winner of the 2018 Kathy Fish Fellowship will be considered a “writer in residence” at SmokeLong (note: position is virtual) for four quarterly issues (March, June, September, and December 2018). Each issue will include one flash by the Fellowship winner. The winner of the Fellowship will also receive $500.00. Fellows will have the opportunity to work with SmokeLong staff and participate in online writing workshops. Writers who have not been published in SmokeLong Quarterly and who do not have a published chapbook or book-length work in any genre (or are not under contract for such) are eligible to apply. We particularly encourage marginalized and diverse voices, such as writers of color, writers from the LBGTQ community and writers with disabilities. Four samples of your flash fiction (stories of 1000 words or less). Twice each year TGS awards $1,000 and publication in The Ghost Story to the winner of our short story competition. Two other writers will receive Honorable Mention and Second Honorable Mention awards that include publication and cash prizes of $250 and $100 respectively. The winning stories will be published on Midsummer’s Eve and October 31. The upcoming deadline is September 30, 2017. Publication for each story will now include a custom illustration by British folk-horror artist Andy Paciorek! Our competition typically draws around 150 submissions from all around the world. Winners have included writers with a long history of publishing their work and/or winning awards, as well as writers who have never before published a story. Ghost stories are welcome, of course—but your submission may involve any paranormal or supernatural theme, as well as magic realism. 1,500 to 10,000 words. Award-winning manuscripts will be published by the University of Iowa Press under the Press’s standard contract. Any writer who has not previously published a volume of prose fiction is eligible to enter the competition. The manuscript must be a collection of short stories in English of at least 150 word-processed, double-spaced pages. $1,000 prize and publication in the Spring online issue of the American Literary Review will be given for a short story of up to 8,000 words. 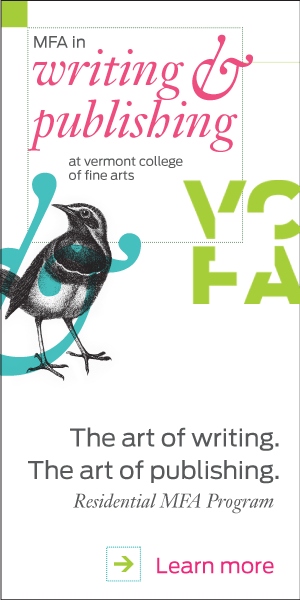 Winners receive publication, invitation to a reception and reading in their honor, and a cash prize ($5,000). Submit one piece of fiction up to 8,500 words. Each entrant receives a one-year subscription to the Missouri Review in digital format. The three prizewinners and seven honorable mentions will be considered for representation by William Morris Endeavor; ICM; the Wylie Agency; Regal Literary; Dunow, Carlson & Lerner Literary Agency; Markson Thoma Literary Agency; Inkwell Management; Sterling Lord Literistic; Aitken Alexander Associates; Barer Literary; the Gernert Company; and the Georges Borchardt Literary Agency. Results will be announced at the website December 15 and in the Winter 2017/2018 issue of Zoetrope: All-Story; and the winning story will be published as a special online supplement to that Winter 2017/2018 issue. We welcome multiple entries ($20/story), simultaneous submissions, and entrants from outside the United States. All genres of literary fiction accepted. Strictly 5,000 words or fewer. Open only to writers who haven’t had any fiction appear (nor scheduled to appear) in a print publication with a circulation over 5,000. (Entries must not have appeared in print, but previous online publication is fine.) Most entries run from 1,000 to 5,000 words, but any lengths up to 12,000 are welcome. The winner of our contest will receive $1,000 and publication in Indiana Review. All entries are considered anonymously. Send a single story of up to 8,000 words in a single word document. Each fee entitles entrant to a subscription of the journal. Annual contest judged by the editors. First-place winners will receive $1,000. Up to 5,000 words. All entrants will receive a copy of the next edition of The Briar Cliff Review. First Prize: $1,000 and publication. Finalists: Notation, possible publication. One story of up to 6000 words. All participants receive the issue in which our winners are printed! The 5th Edition of the International Prize for Micro-Stories is organized by the César Egido Serrano Foundation. Writers from anywhere in the world may participate. Accepts originals in any of the following languages: Spanish, English, Arabic or Hebrew. An overall first prize of $20,000 is awarded for the best story in any of the languages authorized in the contest. Three prizes of $1,000 each will be awarded for the best stories in each of the other remaining languages admitted in the contest. The stories cannot exceed 100 words. The César Egido Serrano Foundation reserves the right to publish the finalist stories. Keeping in mind the Foundation’s ethos, which is that the word is the tool of coexistence between different cultures, religions and ideologies, the V Edition of competition is open, under the motto: The Word, bridging the gap between different cultures and religions”. Have I missed a great writing contest? Please leave a comment and let me know where you found them. Care to thank Art with a coffee? Arthur Klepchukov writes literary and speculative fiction from numerous San Franciscan cafes and the occasional park. 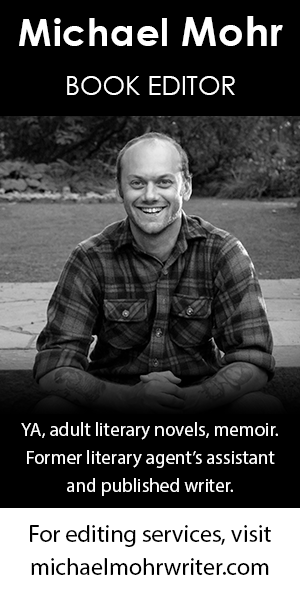 He completed The Lemon Tree House Residency for Writers in Tuscany and has read at Lit Camp’s Basement Series. Art was awarded Honorable Mention in the Writers of the Future contest. He loves hosting Shut Up & Write meetups. Follow his writing journey on Arsenal of Words and on Twitter. What a great list! Am tweeting and FBing this right now! Thanks for spreading the word Anita! Happy submitting! What a great roundup! Thanks for the time in putting this together Arthur! Arthur, thanks for the list. The PEN/Bellwether Prize is awarded to an unpublished novel manuscript by a writer who has had at least four publications (including short stories or essays), and, if the writer has published a book, the book has not sold more than 10,000 copies. The submission must be an original, previously unpublished novel, written by one person, in English, at least 80,000 words in length. The Bellwether Prize for Socially Engaged Fiction, which was established in 2000 by Barbara Kingsolver and is funded entirely by her, was created to promote fiction that addresses issues of social justice and the impact of culture and politics on human relationships. Yes, Arthur. That’s a good link. Meant to include that as well. . . but I’m so busy writing. This is so helpful — thank you for putting this list together. I’m off to share! Happy to hear and thanks for sharing, Julia. Open to writers who haven’t yet published a full-length book. Thanks for the addition Anthony! How did you find it? Carol Newman Cronin on Publishing Moves On. Do Readers? If you crave even more positive, empowering advice, check out WU’s book, AUTHOR IN PROGRESS. It contains deep-dive, never-before-published essays covering all stages of story creation to help you persevere and finish your novel. Click here to learn more about AUTHOR IN PROGRESS. Write on. This entry was posted in Uncategorized on August 29, 2017 by Katrina.